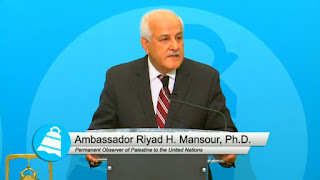 Palestine is not yet a full member of the UN - it has the status of "non-member observer status". I am not sure that there will therefore not need to be a UN General Resolution to enable them to speak on behalf of G77. This could be a very interesting time int he UNGA this autumn. Palestine will take over from Egypt who has done an excellent job and will be difficult to follow not least as the resources that Palestine has in persons and funds will be so much less than that which Egypt has. 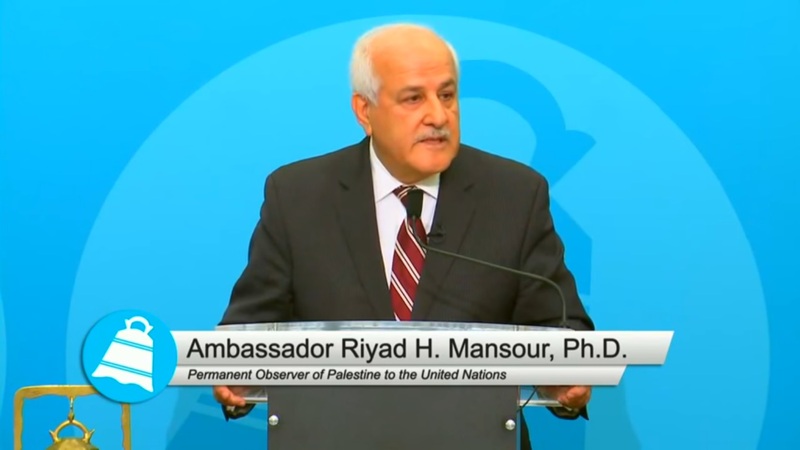 Ambassador Riyad H. Mansour has been head of the Palestine Mission to the UN since 2005. He had prior to that been the Deputy at the Mission fro 1983 to 1994. He, therefore, has a very good understanding of the UN systems and the workings of the Group of 77. This happens at the same day as Nikki Haley has resigned as the US Ambassador to the UN someone who has been very hostile towards Palestine at the UN. The US under Haley has withheld funding for the UN humanitarian agency that supports Palestinian refugees. During the period of the Palestine Chairship of G77, the European Union will have the following Presidents. Romania will be President fo the EU January to the end of June and will be followed by Finland from July to the end of December which will include both the High-Level Political Forums (HLPF).